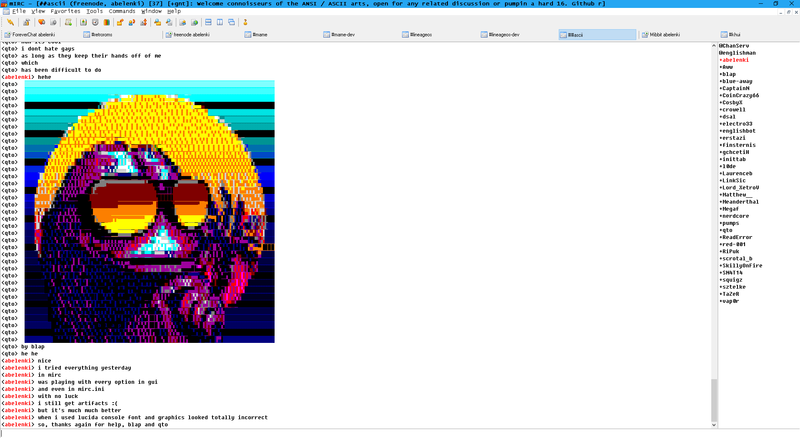 does anyone know correct settings for displaying IRC / ANSI art correctly in mIRC? what else can be set in mIRC to get IRC / ANSI art displayed correctly? Do you want to show the Ascii Art only for yourself? That would be the thing you could have an effect with the usage of a monospaced font (proportional fonts have different width of che chars). For other users in the channel, an Ascii Art message could be ugly if they don't use the right font either. You have no influence of this. no. on that channel, where people show off their IRC art, everyone got their clients and fonts set up properly. the problem is - they don't use mIRC. For other users in the channel, an Ascii Art message could be ugly if they don't use the right font either. You have no influence of this. this is understandable, but see above. Even fonts labeled as being fixed width - often have characters outside the ASCII 33-126 range which are different widths. 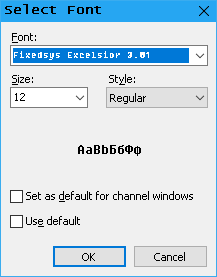 Fixedsys Excelsior seems to be one of the few fonts that doesn't give 127 a different width, and when people were using codepoints above 255 for line-drawing, there were often a grab bag of results depending on which "fixed" fonts were used to view the art. Depending on the range of numbers, there will be characters that have a non-standard width, and $height() reports the same height for X as for _. The line artifacts are a difficult disappointment with some types of mIRC art containing unicode block characters. In many clients, the rows of text are 16 characters tall, but the font only renders 15 pixels of block text, leaving a blank pixel separating lines. In mIRC, that blank pixel is rendered at the bottom of text lines. In some other clients, that blank pixel is rendered at the top of text lines. 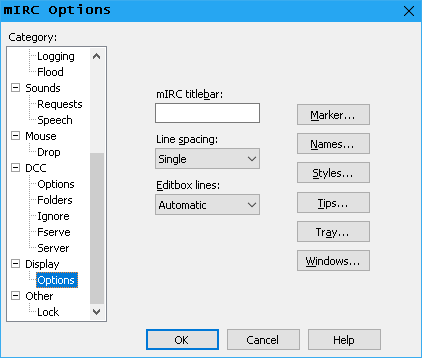 For these types of artworks that utilize both foreground and background colors to creatively mask the underline or overline artifact, they will only render 'beautifully' in one set of clients (ie: mIRC) but not others (ie: Irssi, Weechat, IRCCloud) without modifying the art to address those artifacts between clients. Raccoon, thanks for the info.